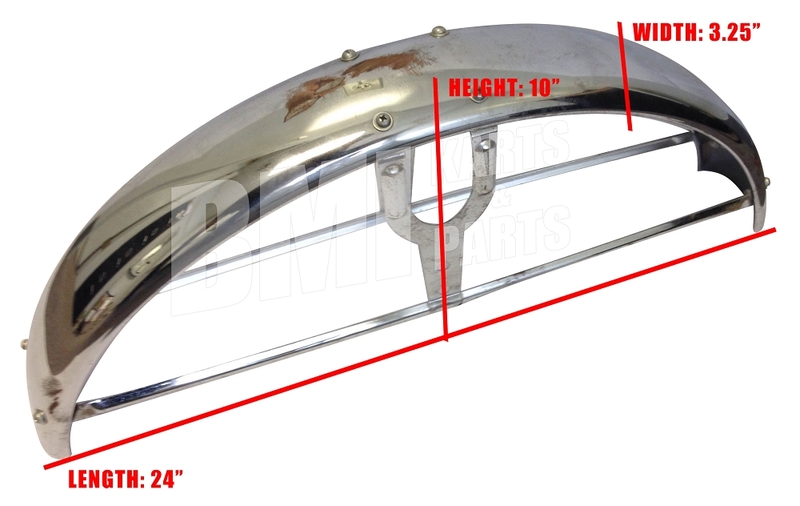 Replacement front fender for Honda CS90 motorcycles. Will work on Honda CS90 models. Also custom applications. Please see dimensions of fender to see if it will fit your bike!